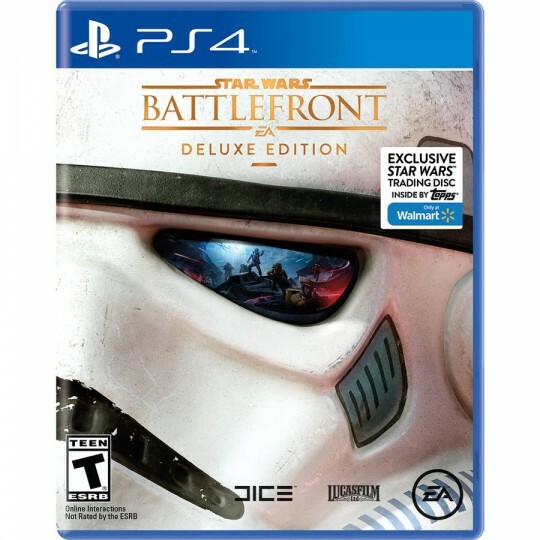 The Deluxe Edition with Exclusive Trading Disc of Star Wars Battlefront includes the complete Deluxe Edition in addition to an exclusive Star Wars Trading disc by Topps. In the US this edition was exclusive to Walmart. This entry was added to the database on Saturday, February 6th, 2016 at 11:26 am by THEREALDEALDUDE. This information was last updated on Saturday, May 14th, 2016 at 10:10 am by .